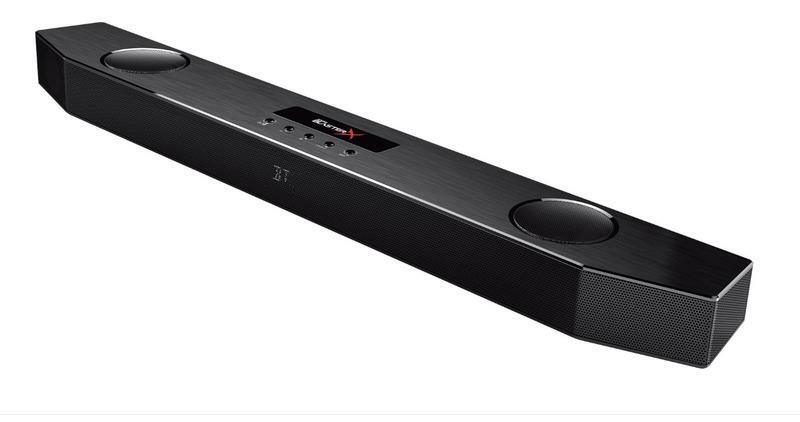 Around two weeks ago, Creative Labs sent us a gaming-focused soundbar dubbed the Sound BlasterX Katana. I've used it constantly since then across several games and platforms. The result? This thing rocks. Would you listen to the colors! Before you hear the Katana, you see it. 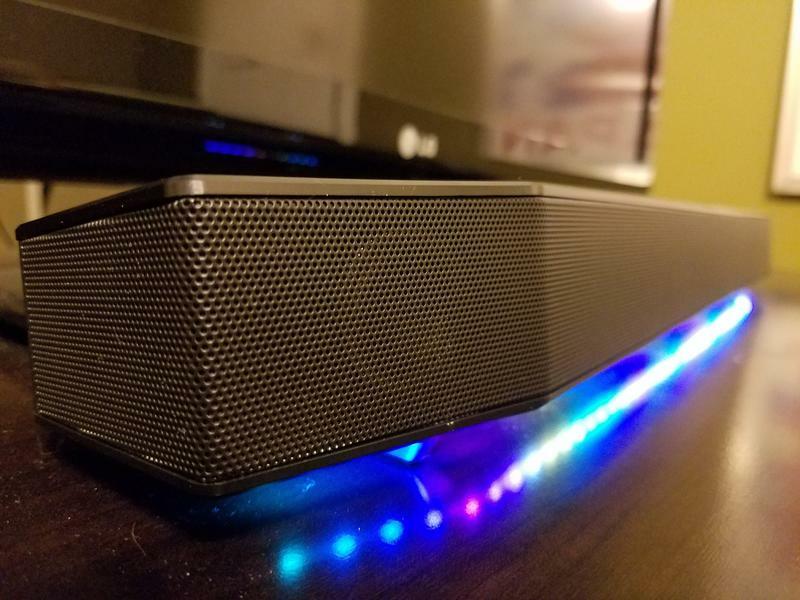 Creative Labs built this speaker with LED lights on its base, and they glow onto the surface of whatever it's resting on. You can tweak them to display a solid color, a wave of color or a rainbow. 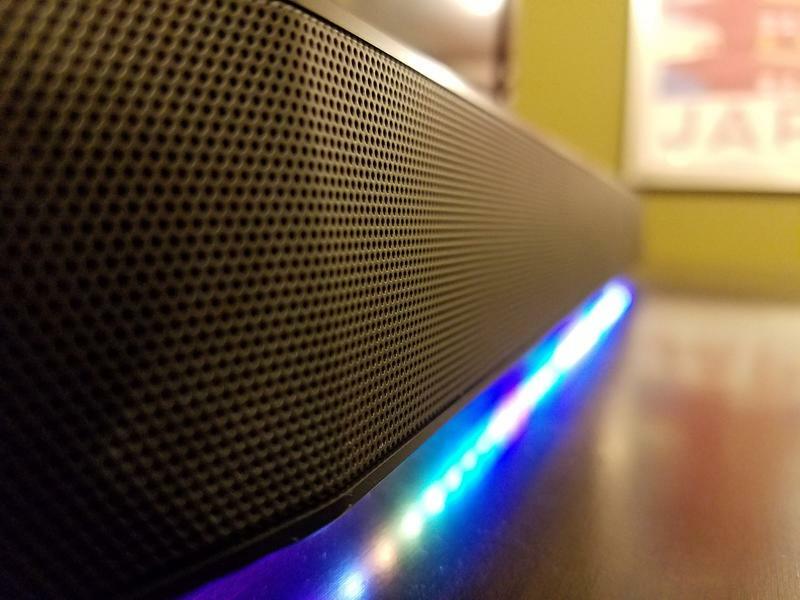 The light show is completely programmable, and it works incredibly well when paired with a gaming PC. The housing itself is rather slick when you consider the beastly components within. The Katana itself houses two midbass drivers at 2.5″ that direct audio up and two 1.3″ tweeters pointing straight out. Now, what's interesting about the direction and frequency of these four speakers is that there's no real perfect center for listening. In fact, the Katana sounds really great from all over the room, booming with exceptional bass and mids and highs that are clear, sharp and resonating. The system packs three separate amps, one for the mids, one for the highs and one for that subwoofer. 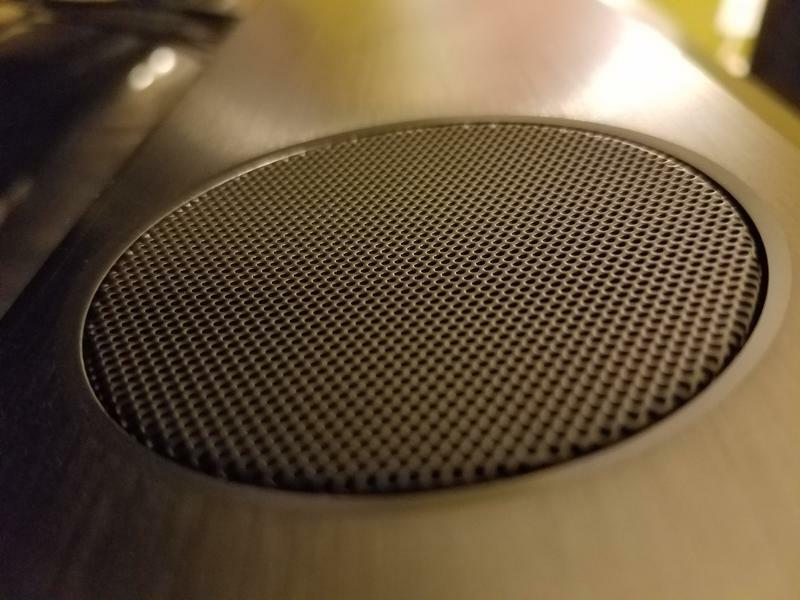 It's large, and it puts out a lot of hard sound without buzz or rattle. It's one of the best speakers I've used for gaming, and I had it blasting sound through my entire ride with The Last Guardian. I couldn't have asked for a better match, as the speaker boomed and thundered as the beast in the game plodded behind me. Gaming at night? No sweat. There's a night mode that you can switch on to cut the bass and keep the highs and mids. It's not as rich, but it works well and still produces great sound. If you have headphones, you can plug those into the soundbar, too. 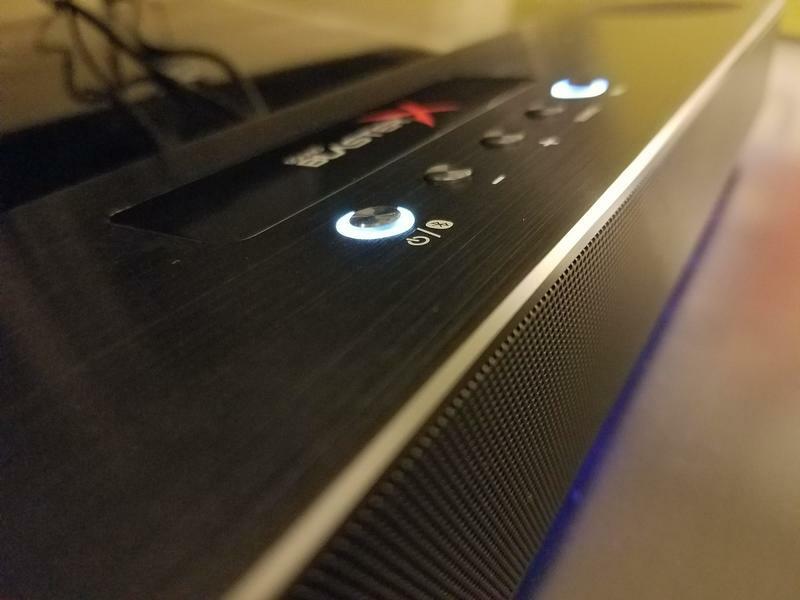 Will this soundbar work with my PC? Yes! It will. Just like anything with standard audio inputs, the Katana works with PCs. 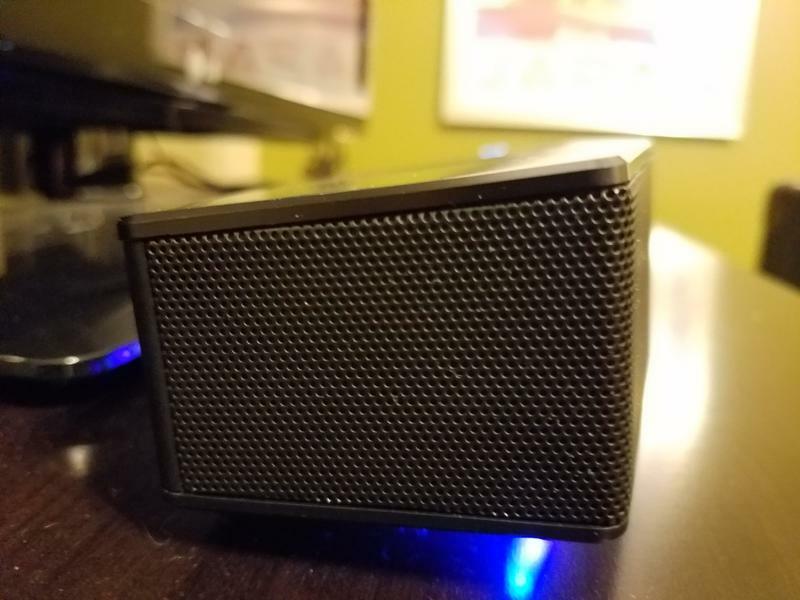 It works with Bluetooth-enabled devices, too, so you can connect your phone to it for music. It even works with Creative Labs' Sound BlasterX software for tweaking sound settings. It sounds great here, too. I'm just not sure most folks will want to use it for PC gaming. 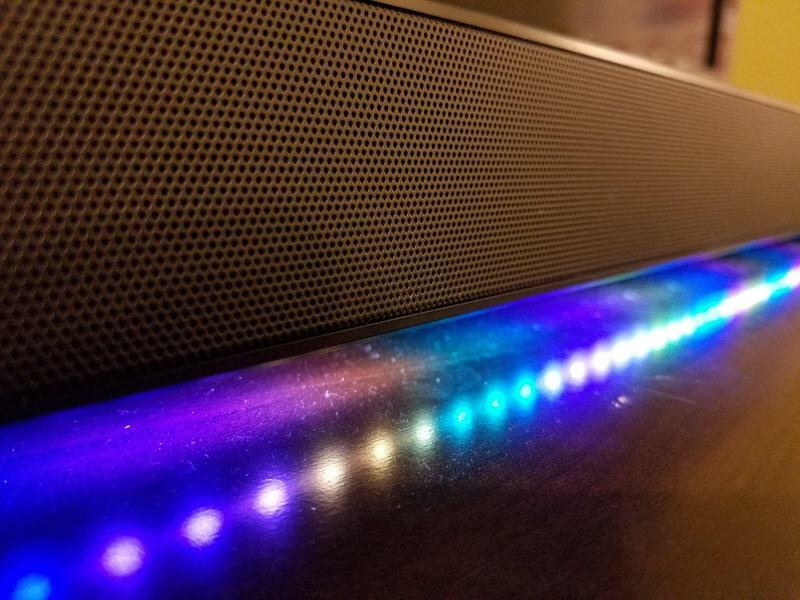 The soundbar takes up a lot of space on my large desktop, so I can't imagine those with space constraints will find this to their liking. If you have the room and don't mind the extra stuff on your desk, the Katana is a beauty with PC. It's big, but it's worth it. 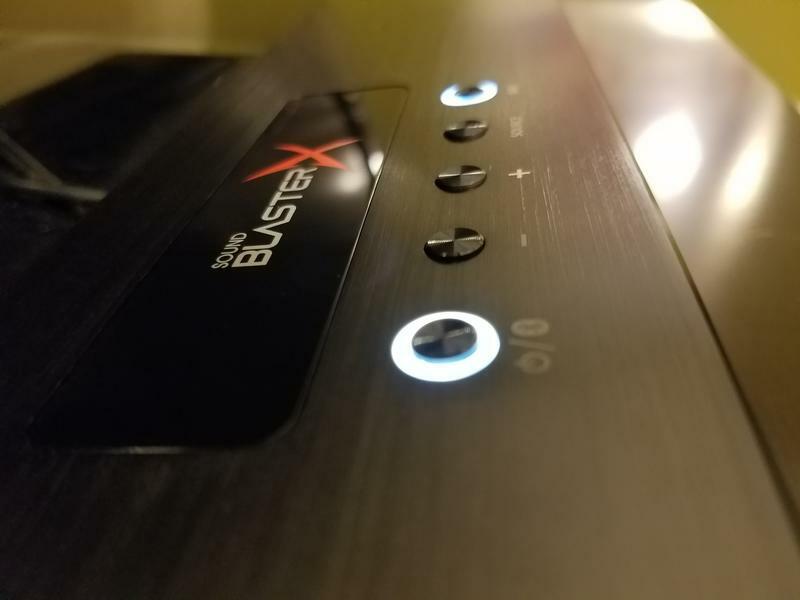 The Sound BlasterX Katana is pricey, but worth it. 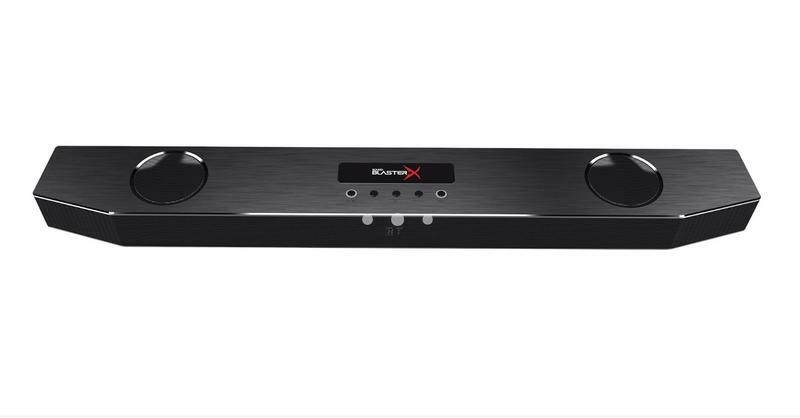 At $299, the Sound BlasterX Katana is one of the more expensive options in the soundbar category, if you're shopping on a budget. You can certainly spend more on higher end stuff, but I'll offer that the Katana is more affordable than those outputs and just as capable. 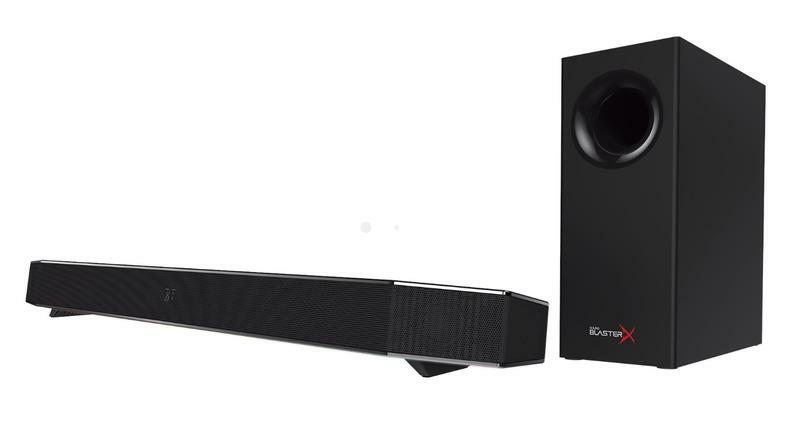 Pricey when compared to most soundbars? Sure, but it's cheaper than the top products it competes with, and you'll get a marriage of sound quality and affordability that's pretty fantastic. What you should know before you buy is that this thing doesn't come with audio cables. You will need to snag some optical or 3.5mm audio lines if you want to run audio from a console to the unit. If you're going with PC, the USB slot will work.